If you own an Aquastar and are not a member, then why not click here to register ? You will be directed to the application form which you can fill in and submit on-line. You will then receive an email saying your application is pending approval. There is a one-off joining fee of £ 40, and no annual membership charge. 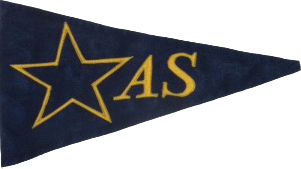 The fee includes a club burgee. If you would also like the club tie, a gold woven logo on dark blue tie, please add £ 15 to your payment. Please advise the commodore by email when you have transferred the funds. If you can also provide some information on your boating 'status' and background, your current vessel and what you are looking for from the club, that would be interesting and most helpful as well. As a member you are entitled to login to the 'members only' pages (Club events, Member's trips, Newsletters & articles, and Member's forum) by going to that page and clicking 'please login to view this page' and entering your email address and password.